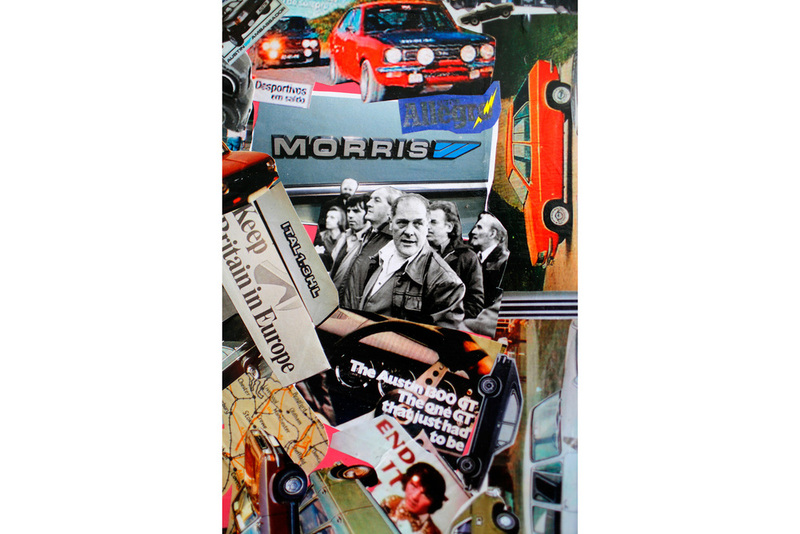 Redhawk Logistica facilitated a series of 5 ‘Collective Collages’ that explored various eras of car production at Longbridge. These were created with different groups of local residents via workshops at Austin Sports & Social Club, Northfield Library, LPAP | SPACE and Pride of Longbridge. The designs and methods of advertising used to promote models such as the Princess and the Metro were researched in these sessions, creating images of free association from which people could read personal, social and political narratives via the cars themselves. The completed collages were exhibited in the LPAP | SPACE in 2014.